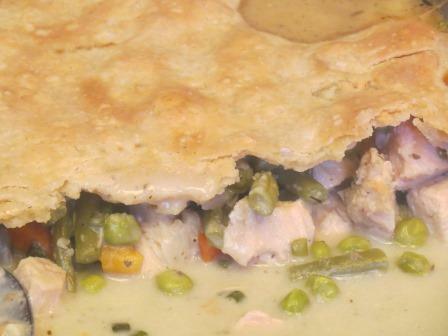 I made a chicken pot pie with some of the bounty from Grandma’s garden and meat from a broiler we raised last summer. It was a rather improvised recipe of what I had on hand. … and it was AMAZING. Quite possibly the best chicken pie I’ve ever made. 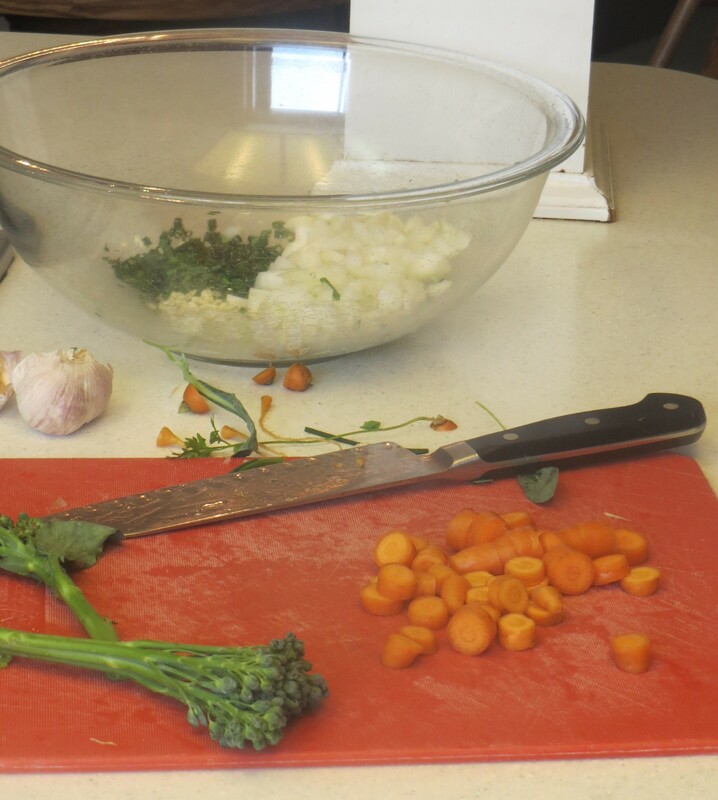 Roll out pie crust between two pieces of plastic into a rectangle, roughly the same shape as the casserole dish. Put in freezer. When the filling is hot and bubbly, remove from oven and (gingerly!) put the crust on top, sans plastic. Return pie to oven for 15-20 minutes, until crust is golden brown. 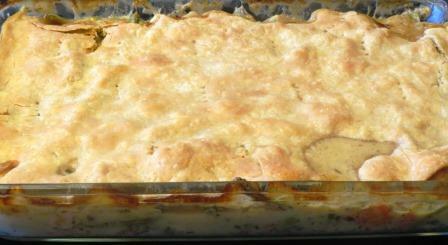 This entry was posted in Comfort Food, Main Dishes, Pastured Poultry and tagged broilers, chicken pie, chicken pot pie, garden pie, pot pie. Bookmark the permalink.